Instead of discussing hay this month, we’re going to diverge a bit to a business topic. 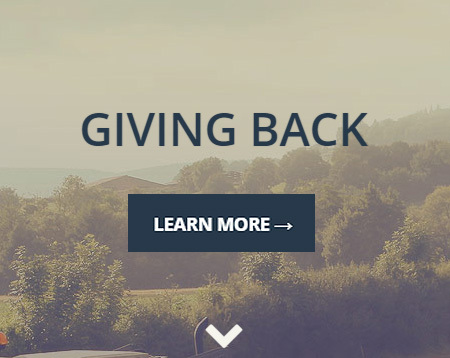 At Eastern Hay, we believe in the importance of giving back. We’re all in this together, and helping those less fortunate than us, whether they are animals or fellow human beings, is always a win-win situation. Eastern Hay has supported Green Chimneys in Patterson, New York for 25 years. Using the powerful bond between animals and humans, and the healing peace of nature, Green Chimneys creates a safe, nurturing, and highly structured environment for kids who haven’t been able to succeed in a traditional learning environment. Many of the animals in the program have found sanctuary at Green Chimneys from abuse or neglect, providing an added dimension to their good work. Green Chimneys also holds summer camps, and hosts youth outreach programs. In addition to our yearly support for Green Chimneys, Eastern Hay presented a considerable donation at the Victory Cup polo match held at Kirby Hill Farm in July, which was a fundraiser for Green Chimneys and other local non-profits. New York Yankees’ President Randy Levine and his wife Mindy attended, donating a generous check for Green Chimneys’ benefit as well. Lucky Orphans Horse Rescue, founded and run by Deanna Mancuso, also receives support from Eastern Hay, often in the form of truckfuls of hay for the equine orphans. Lucky Orphans’ motto is “Humans helping horses helping humans.” A safe haven for neglected and abused horses, Lucky Orphans provides them with a permanent home. Rescue horses in turn receive jobs: sound ones teach riding lessons, ones that can’t be ridden provide comfort and therapy for wounded souls. Eastern Hay also donated to the Winter Equestrian Festival’s Great Charity Challenge which has so far given $9.2 million to local Palm Beach County Charities. Billed as an “opportunity for the equestrian world to give back,” the event combines amateurs with an Olympic or world class rider into teams that are paired randomly with a local charity which has been selected to be part of the event. Our team was headed by Darragh Kenney and raised a hefty donation for Habitat for Humanity of Palm Beach County. Businesses of course are established to make a profit. They create jobs, help the economy, provide services. But giving back, we at Eastern Hay feel, should be part of every business plan. As the saying goes, “A rising tide lifts all boats.” And while profits can be measured in dollars and cents, there is no price that can be put on a house for a formerly homeless family, or a mute child who utters their first word after spending time with a horse.